Norwegian DJ-producer Alan Walker teamed up with fellow producer and friend David Whistle to create the new electronic dance single "Routine." Norwegian DJ-producer Alan Walker teamed up recently with fellow producer and friend David Whistle. The result is a new single, entitled “Routine.” Released on Dec. 23, the electronic track does not contain the vocal-heavy arrangements that Walker’s recent “Alone” and “Sing Me to Sleep” do. However, this does not detract from audience engagement. The duo turned out a solid track with “Routine” – defying anyone to hold their young ages against them. 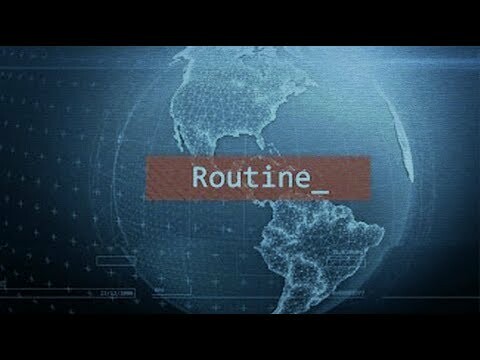 “Routine” begins with a throwback vibe. Simple tones and a distorted voice reverberate through the air. However, this track quickly dips into the present, with an engaging combination of sonic layers. The underbelly of this cut is made of a borderline dubstep and very danceable beat. A combination of acceleration sounds and dreamy space-infused tones weave throughout. The uppermost layer is comprised of peppy and high-pitched notes – acting as a great counterpoint to the rest of the arrangement.